An excellent credit score can help you qualify for the best credit cards on the market. Whether you’re looking for a rewards card, cashback card, or a balance transfer card, the better your credit score, the higher the odds you’ll be approved. However, with great rewards also come some additional costs, typically in the form of higher annual fees. Don’t let a killer cashback rate or signup bonus lure you into signing up for a card that may not give enough return on your investment to be worthwhile in the long term. The key is finding the card with the best value and fit for your lifestyle, which has never been easier as banks compete to win loyalty from desirable customers. Rewards: Earn 2x points on travel and dining at restaurants & 1 point per dollar spent on all other purchases worldwide. New cardmember offer: Earn 60,000 bonus points after you spend $4,000 on purchases in the first 3 months from account opening. 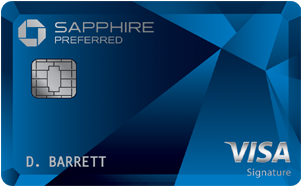 The Chase Sapphire Preferred® Card is a great travel rewards card that provides a suite of travel-centric perks. The most noteworthy benefit is the ability to get 25% more value for points when you redeem for travel through Chase Ultimate Rewards. For example, 60,000 points are worth $750 toward travel. 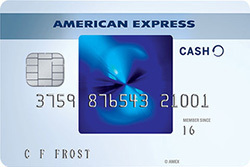 While this card has a $95 annual fee, you can recoup it if you spend $4,750 a year on dining and travel. Rewards: Earn 2 miles per dollar on every purchase, every day. New cardmember offer: One-time bonus of 50,000 miles once you spend $3,000 on purchases within 3 months from account opening, equal to $500 in travel. 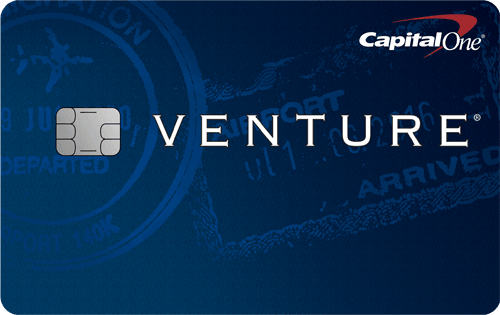 The Capital One® Venture® Rewards Credit Card has a hassle-free rewards program that allows you to redeem rewards as a statement credit for past travel expenses with no blackout dates or restrictions. There is an annual fee of $0 intro for first year; $95 after that, but spend $2,950 each year (except year one) to break even. Rewards: Earn 3% cash back at U.S. supermarkets (on up to $6,000 per year in purchases, then 1%). 2% cash back at U.S. gas stations and at select U.S. department stores. 1% cash back on other purchases. New cardmember offer: $150 statement credit after you spend $1,000 in purchases on your new Card within the first 3 months. Grocery shoppers will benefit from the higher cash back rate on eligible purchases with the Blue Cash Everyday® Card from American Express. This card also offers a competitive intro APR of 0% for 15 months on purchases and balance transfers that can help finance new purchases or get out of debt. After the intro period ends, there’s a 15.24%-26.24% Variable APR. Rewards: Earn 3X Membership Rewards® points for flights booked directly with airlines or on amextravel.com and 4X points at U.S. restaurants and U.S. supermarkets (on up to $25,000 per year in purchases, then 1X). New cardmember offer: 35,000 Membership Rewards® Points after you spend $2,000 on eligible purchases with your new Card within the first 3 months. 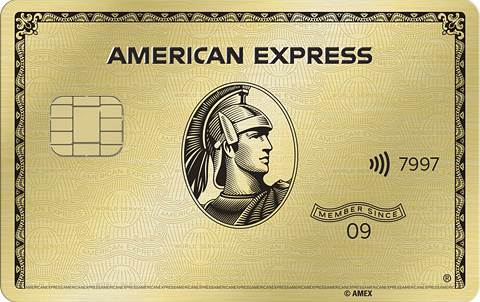 Foodies and grocery shoppers can benefit from the rewards and added perks of the American Express® Gold Card. Cardholders receive a monthly $10 dining credit that can offset the cost of eating at The Cheesecake Factory, Ruth’s Chris Steak House and participating Shake Shack locations or ordering food from Grubhub and Seamless. A one-time activation is required to use this benefit. While there’s a $250 annual fee, taking advantage of the annual dining credit ($120) and annual airline fee credit ($100) offsets the fee to $30. New cardmember offer: Intro 0%* for 21 months on balance transfers* (after, 16.24% - 26.24%* (Variable) APR). The Citi Simplicity® Card - No Late Fees Ever offers the longest intro period on transferred balances with an intro APR of 0%* for 21 months on balance transfers* (after, 16.24% - 26.24%* (Variable) APR). If you’re carrying a balance on another high interest card, transferring it to this card can help you save on interest charges. Just know, there is a higher than usual balance transfer fee of 5% of each balance transfer; $5 minimum. However, this card has no late fees, no penalty rate, and a $0* annual fee. (474) Over the Past 60 Days! Rewards: Earn 2% cash back on purchases: 1% when you buy plus 1% as you pay. New cardmember offer: No bonus. The Citi® Double Cash Card – 18 month BT offer set the standard for flat-rate cashback cards with its generous and simple rewards program. Cardholders don’t need to keep track of bonus categories or caps to earn an effective 2% cash back on all purchases. Additionally, this card has a long intro period of 0% for 18 months on balance transfers* that can help you pay off debt interest-free. If you’re looking to transfer a balance and earn rewards on new purchases — all at a $0* annual fee, then the Citi® Double Cash Card – 18 month BT offer is a great option. (930) Over the Past 60 Days! Rewards: Earn 1.5 points per $1 spent on all purchases. New cardmember offer: 25,000 online bonus points after you make at least $1,000 in purchases in the first 90 days of account opening - that can be a $250 statement credit toward travel purchases. 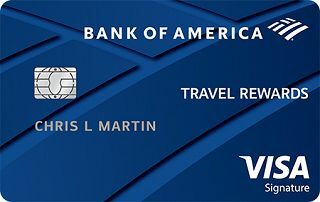 The Bank of America® Travel Rewards credit card is a decent $0 annual fee travel rewards card with simple rewards redemption. Points can be redeemed as a statement credit for travel purchases with no blackout dates or restrictions. Plus, cardholders with existing Bank of America accounts can get even more rewards: Receive a 10% customer points bonus on every purchase when you have an active Bank of America® checking or savings account or a 25%-75% bonus if you’re a Preferred Rewards member. Rewards: Earn 3% cash back in your choice category, 2% cash back at grocery stores and wholesale clubs for the first $2,500 in combined choice category/grocery store/wholesale club quarterly purchases & 1% cash back on every purchase. New cardmember offer: $200 online cash rewards bonus after you make at least $1000 on purchases in the first 90 days of account opening. The Bank of America® Cash Rewards credit card has a flexible cashback program that allows cardholders to select one of six categories to earn 3% cashback in each month: gas, online shopping, dining, travel, drug stores, or home improvement/furnishings. You can change the bonus category each month or keep the same choice. Compared to other rotating cashback cards, the ability to choose your category is a nice perk. Similar to the Bank of America® Travel Rewards credit card, this card has a $0 annual fee and offers Preferred Rewards members a 25%-75% rewards bonus on every purchase. Rewards: Earn 5% cash back at different places each quarter like gas stations, grocery stores, restaurants, Amazon.com and more up to the quarterly maximum, each time you activate, 1% unlimited cash back on all other purchases - automatically. If you want to maximize your cash back, the Discover it® Cash Back provides quarterly 5% cashback categories that can allow you to earn high rewards — all with a $0 annual fee. For 2019, the categories include grocery stores (January-March), gas stations, Uber & Lyft (April-June), restaurants (July-September), and Amazon.com (October-December). Just know, each quarter the 5% cash back is limited to $1,500 in spending, and you have to sign up. Once you hit that amount, you’ll earn 1% cash back. 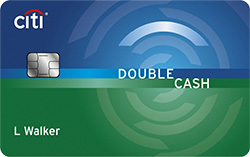 The new cardmember offer is also unique with no minimum spending required to get a match of all the cash back you earned during your first year of account opening. Rewards: Unlimited 1.5x Miles per dollar on all purchases, every day. 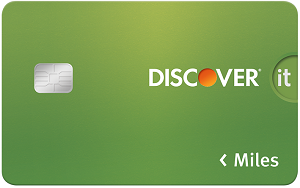 New cardmember offer: Discover will automatically match all the Miles you've earned at the end of your first year. 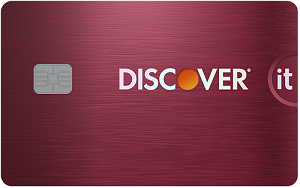 The Discover it® Miles is a decent flat-rate rewards card that allows you to redeem miles as a statement credit for past travel purchases starting at a penny. This is a great perk since many cards set $25 minimum redemption amounts. Plus, there are no blackout dates, so you can fly any airline, anytime. With a $0 annual fee and generous new cardmember offer, you can benefit from this straightforward travel rewards card.